The beginning of the school year doesn’t have to mean awkward silences and uncomfortable ice breaker games. Instead, throw in a couple of these would you rather questions and watch the classroom discussion light up! Would you rather be able to fly or be able to breathe underwater? Would you rather be constantly sneezing or constantly have the hiccups? Would you rather have to sing everything you say or yell everything you say? Would you rather have no hair at all or hair that goes down to your feet? Would you rather always have to wear your nicest clothes or always have to wear smelly clothes? Would you rather have two heads or four arms? Would you rather only be able to dance every time you move or not be able to dance ever again? Would you rather only see your favorite color everywhere or not see your favorite color ever again? Would you rather have giant adult feet or tiny baby feet on your regular sized body? Would you rather live in a treehouse or on a boat? Would you rather drink a gallon of milk in one sitting or a gallon of orange juice? Would you rather have to wear the same outfit every single day or never be able to repeat an outfit once you wore it? Would you rather have to do a backflip every time you leave a room or have to do a front flip every time you enter a room? Would you rather have a fluffy squirrel tail or have huge elephant ears? Would you rather be 10 feet tall or only one inch tall? Would you rather your house had a slide instead of stairs or trampolines instead of floors? Would you rather be able to change colors like a chameleon or be able to run as fast as a cheetah? Would you rather fly a plane or steer a submarine? Would you rather eat a peanut butter and pickles sandwich or a banana and ranch dressing sandwich? Would you rather have a pet tiger or a pet shark? Would you rather eat a worm or eat a grasshopper? Would you rather every holiday be Christmas or every holiday be Halloween? Would you rather wear a swimsuit in the snow or a big coat on the hottest day of summer? Would you rather spend the night at the zoo or spend the night at the library? Would you rather have 20 siblings or be an only child? Would you rather only be able to eat salty things or only be able to eat sugary things? Would you rather have teeth that glow in the dark or hair that glows in the dark? Would you rather only take baths or only take showers forever? Would you rather walk on your hands or have to cartwheel any time you needed to go somewhere? Would you rather it always be raining or always be super hot? Would you rather live in space or live in a submarine? Would you rather play outside or stay inside? Would you rather be able to fly or be able to teleport? Would you rather never be able to pick the place your family eats or never be able to pick the movie your family watches? Would you rather have prickly porcupine skin or have leaves growing out of your head instead of hair? Would you rather have a dog that could talk or a horse that could fly? Would you rather turn into a squirrel or turn into a cat? Would you rather have a pool made of Jell-O or a pool made of liquid chocolate? Would you rather have all sisters or all brothers? Would you rather have a house overrun with pigs or overrun with chickens? Would you rather fly a plane or ride a motorcycle? Would you rather be a superhero yourself or be best friends with your favorite superhero? Would you rather have a hamster-sized elephant or an elephant-sized hamster for a pet? Would you rather be a doctor or be a dentist? Would you rather lick the bottom of your shoe or eat your least favorite food? Would you rather lose every board game you play or burn everything you try to cook? Would you rather be able to read minds or have to say everything you think out loud? Would you rather give a speech in front of 1,000 people or three people? Would you rather never be able to listen to your favorite song again or only hear your favorite song whenever you hear music for the rest of your life? Would you rather win a Grammy or win an Oscar? Would you rather never eat junk food again or only eat junk food forever? Would you rather live in the middle of nowhere with no one else around or live in the middle of an overcrowded city? Would you rather eat a loaf of moldy bread or a block of moldy cheese? Would you rather have no kids when you grow up or have no dogs when you grow up? Would you rather have no eyebrows or have no fingernails? Would you rather be amazing at sports but never play professionally or be a professional athlete your whole life but be known for choking at the biggest moments? Would you rather go to the same great place for vacation every year or go to a new place every year, but risk going to a bad place? Would you rather always be hungry or always be tired? Would you rather never meet your favorite celebrity or meet them but get into a giant argument? Would you rather never be able to watch another movie again or only be able to watch your favorite movie (but you have to watch it every day)? Would you rather live on a desert island alone or on a desert island with your least favorite celebrity? Would you rather it be your birthday every single day or your favorite holiday every day? Would you rather go to school all year and have one week off per month or go to school every day and have summer off? Would you rather be the oldest sibling or the youngest sibling? Would you rather always smell rotten eggs everywhere you go or always hear nails scratching on a chalkboard? Would you rather never have a pet again or never have a TV again? Would you rather be a musician or an athlete — if you could be great at whichever career you chose? Would you rather get stung by a jellyfish or get pinched by a crab? Would you rather rhyme every time you spoke or not be able to speak without shouting? Would you rather be the smartest person in the world or the most beautiful person in the world? Would you rather live in Antarctica or in the Amazon? Would you rather get your least favorite song stuck in your head for a day or have your favorite song stuck in your head for a week? Would you rather go everywhere in roller blades or go everywhere in high heels? Would you rather have a pet porcupine or have a pet skunk? Would you rather live alone in a giant house or live in a regular-sized house with 100 roommates? Would you rather always be super early or super late to everything? Would you rather always be sticky or always be soaking wet? Would you rather always have your phone in your hand for the rest of your life or never be able to use a phone again? Would you rather only be able to drive everywhere you want to go or only be able to fly everywhere you want to go? Would you rather meet your great-great-grandparent or your great-great-grandchild? Would you rather go to your dream vacation spot or meet your favorite celebrity? Would you rather only be able to watch the end of every movie or only be able to watch the beginning? Would you rather drop your phone in a full toilet or in a hole full of snakes? Would you rather work at a fast food place or at a daycare? Would you rather replace your toothpaste with hot sauce or replace your shampoo with salsa? Would you rather always have a mouth full of marshmallows or always have grapes in your shoes? Would you rather have a super boring job that pays you a million dollars a year or have your dream job but make almost no money? Would you rather be famous for an accomplishment that you didn’t actually do or create something super important, but no one ever knew about it? Would you rather spend the whole school day on your favorite subject or only take your least favorite class for a few hours a day? Would you rather eat a whole lemon or put hand sanitizer on when you have a paper cut? Would you rather write a 10-page paper or give a 10-minute presentation? Would you rather only be able to wear shoes that are slightly too big or only be able to wear shoes that are slightly too small? Would you rather give up watching movies or give up watching TV shows? Would you rather always have to get up early or always have to go to bed late? Would you rather always get free food when you go out to eat or always get free plane tickets when you want to travel? Would you rather have a car that never runs out of gas or a phone that never runs out of battery? Would you rather know the future or know all of history off the top of your head? Would you rather be an amazing photographer but every picture taken of you is bad or be a terrible photographer but every picture taken of you is good? Would you rather be a celebrity constantly swarmed by paparazzi or be in the Witness Protection Program? Would you rather your food always be a little too cold or a little too hot? These questions will have your class in stitches or deep debate in no time! 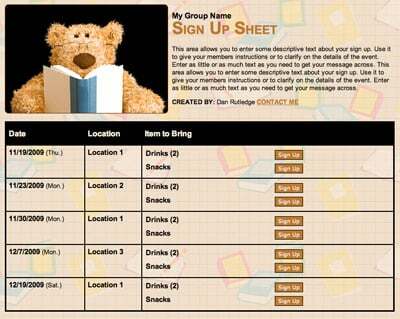 Create a fundraiser for your school with a sign up.